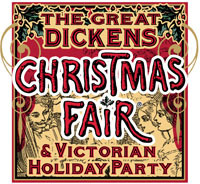 The 2011 Dickens Fair opens Friday, November 25, running weekends through December 18th. Since 1970, this fair has been part of the Bay Area holiday culture.What to expect: "The bustling streets of London, immortalized for all time by the mighty pen of Charles Dickens, form the living backdrop of your excursion into Christmas Past. 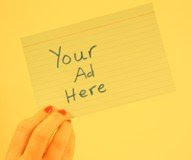 You are a living part of a Victorian Christmas card come to life!" Explore London's Christmas shops, festive drinks (hot toddies, ale, champagne), six stages of entertainment, British (and other) foods, tea house with cucumber sandwiches, Christmas flowers, and lots of kids' activities too. Discounts: Get a $3/adult ticket discount on the website through December 5th, $2/kid ticket discount all season. Bring a toy for Toys for Tots and get $2 off. Tickets: Tickets are $25 for adults (plus $1 convenience fee online), $12 for kids (no convenience fee online). Kids under 5 are free. Parking at Cow Palace is $10. I hope I got the pricing correct - the website was a little confusing.